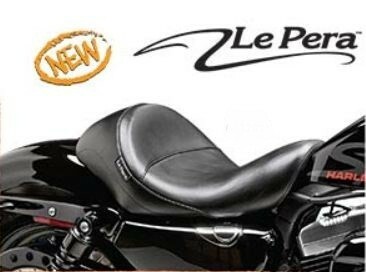 LePera Aviator Solo Seat for Sportsters Looking for a comfortable solo, but don't want a design that overpowers your Sporty? Then the Aviator, with its tapered low profile and heavily contoured bucket, is your beck and call. No pillion is available. Rider seating area is 12.5" wide.